You do not necessarily need to have IT knowledge to have heard the word ‘digitization.’ Many businesses are already raving at the numerous benefits they have enjoyed by adopting digitization of their processes. Unfortunately, you find that not every digital advisor in the many businesses talks the same language when it comes to digitization. The term digitization about businesses means a move from the analog processes to the digital ones. Many different reasons should prompt a company to transform into the digital processes. Some move to gain more speed and agility in the industry. Others move to cut on their overall operational cost. Whereas, others transform to have a firmer grip of the global reach. Simply put, different businesses have different reasons for wanting to transform from the analog to the digital processes. The primary goal, however, is to get a more competitive advantage over the businesses’ competition. And businesses know that they can do this by being faster, better, and cheaper than their competitors. As a business’s digital advisor, you cannot stress the importance of ensuring that you stay agile, customer-oriented, efficient, innovative, and well well-connected, enough. However, amidst all these reasons plus benefits, you will also need to ensure your business stays aligned with both the present and future customer needs. And you can only safely do this by adapting digital transformation in your business. So, why is it necessary to adapt digitization into your business? Here is a broader scope of what digitizing your business could mean for you. By choosing to change your processes from analog to digital, your business will no longer be restrained by geographical boundaries. Your customer reach will be limitless. It is, however, critical that you ensure you do it right the first time. One slight mistake could be enough to mark the end of your business. As the business’s digital advisor, it is, therefore, important that you set clear goals of what you aim to achieve by applying digitization. Afterward, you should then work out a clear management strategy for your digitization programs. By choosing to adopt the current digital technologies into your business, you will also be enabling your business to have wider access to a broader range of information that they need. This information will always also be easily accessible and available, anywhere, and on any capable device. This will enable your business’s decision makers and bosses to have a clearer understanding of how to approach any hurdles that may have been a problem before. Information that is in digital form is also more secure compared to the other types of storage. Every business has its fair share of classified information that it prefers to keep secured and secret. So, choosing to go digital with your business processes is one sure way of increasing the security of such files. One way of looking at it is that you can then manage the access levels or rights and security that each user has on such classified information. Plus, you can also change these rights as needed no matter where the users are in the world. Most of the digital storage techniques also have audit trails which come in handy most of the time. Now, you can also see who accessed your company’s files and from where. Think of it as being on the loop about what is always going on in your business. This is, perhaps, the most obvious reason most businesses would want to go digital. Digitization has proven to help most of the businesses that use it to grow at a fraction of their previous costs. 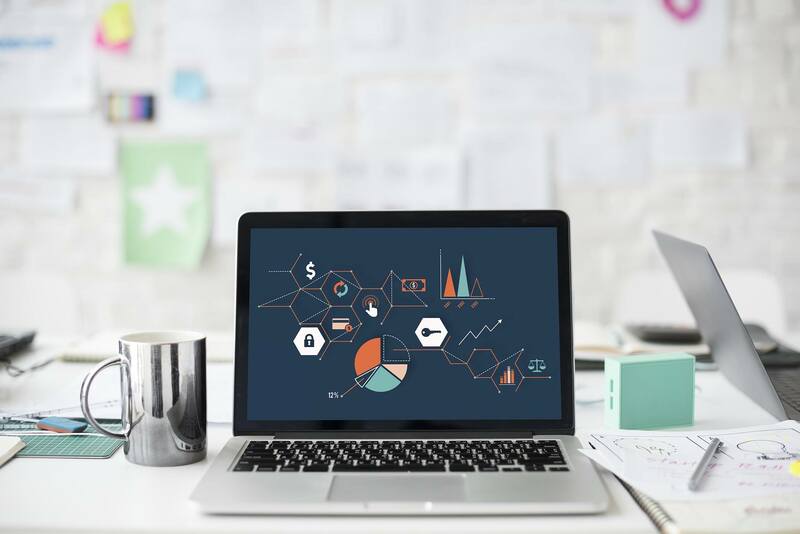 By implementing a proper digitization plan that concurs with your business’s goals, you can reinvent your business processes, promote consistency, and improve quality. Most businesses, however, still work partly on stationary. And this is not only expensive, but the business can also lose a lot of valuable information which can be digitalized and studied to obtain trends. Having such knowledge can be priceless if it lands in the right hands. It is true that many businesses generate vast volumes of data while operating. The manufacturing businesses may be the most affected in this area as they now have to assess and process this data to use it for decision-making processes. Unfortunately, only a small volume of this data is valuable to the business. So, collecting this data and assessing it manually can drag the business’s operational efficiency. Not to mention the extra time used in the processes that could be utilized in other important matters. Digital technologies can make this work run a lot smoother by collecting this data in real-time, analyzing it, and using it to generate results which you can use to make more improved operational decisions. Businesses are working round the clock to improve their customer user experience with their products and services. New times call for new opportunities and businesses are looking to improve their customer service fields and reduce costs at the same time. And so far, it is evident, from the business that has embraced digitization, that that is now possible, and easier to achieve. The right digital technologies work to ensure your business has a flexible and strong customer service model that puts your team ahead of the rest. Social media advertising and other forms of marketing are also possible and achievable using these digital technologies. Not to mention your business’s ability to gather more intelligence about your products or services through your customer feedbacks. It is evident that the time for digitization for businesses is now based on the information provided above. Adopting modern digital technologies is now no longer an option those businesses have. The facts clearly state that businesses with the best digital technologies are the ones that win. If you aim to be among the top dogs, it is only wise that you do the same and start strategizing how to adopt digitization into your business.